The cause for a change in movement (= acceleration) is always a force. The property of all body without force to maintain their State of motion, called inertia. 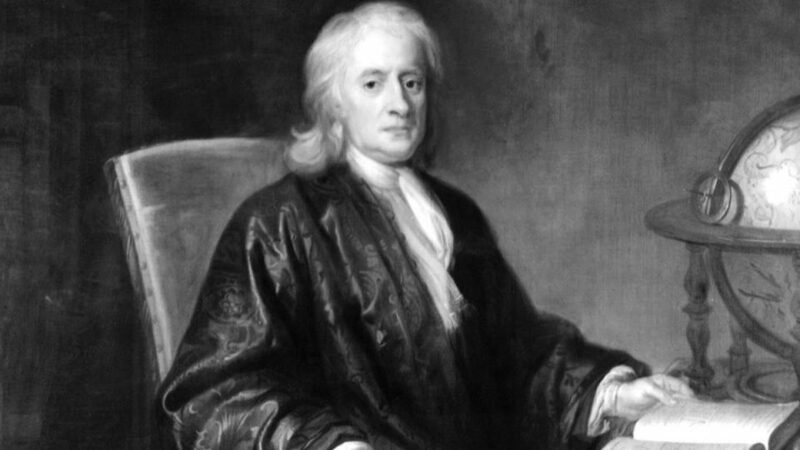 The foundations of classical mechanics are based on the of Isaac Newton 1687 formulated laws of motion, which are also known as Newtonian axioms (an axiom is something like a basic statement). A body remains in a State of rest or uniform rectilinear motion, as long as he is not forced to a change of the motion State by forces acting. According to the law of inertia, a body in motion with undiminished speed should keep moving, as long no force acts on it, which slows him down. This seemingly contradicts our everyday experience, because to continue with constant speed, E.g. by car or bicycle, we must give gas or further contact. Not self-propelled, every body on the Earth eventually grinds to a halt. However, the reason for this is not that No force acts, but rather, that almost always affects another, namely the frictional force. This provides most sure that every body will be slowed down. So a body uniformly moves on, the friction force must be overcome, including ultimately a driving force is required. There’s no friction or is negligible (examples: A car slides on an air cushion car or a spaceship floating in outer space), drive is required for the movement, however, No . That there are everyday life virtually always friction, often leads to false beliefs about the relationship between force and motion, namely that there is no movement without force, and that the cause of a movement is a force. The idea that a body had given with the body and consumed slowly over time is a force, already existed in the middle ages (→ impetus theory). This idea is however wrong! Forces can act only through interaction ‘s on a body. A body “has” no force, however, but depending on the State of motion only energy and momentum. A body that is in motion, keep it moving (uniform), as long as no force acts on it. A body that is at rest remains at rest as long as no force acts on it. A force can causechange, so an acceleration a motion. That each body is seeking to maintain its state of motion, as you realize, if you try to push a car, to stop a heavy object or when you quickly pull a tablecloth off the table – the objects on the table are not moving with the Blanket with but stand still because they are lazy. The inertia and therefore the force that is required to accelerate a body depends on its mass – the greater the mass of a body, the greater is its inertia. 1 Newton (N) is the force that is required in a second on the speed of 1 m / s to accelerate a body weight of 1 kg from the rest. 1 Newton (N) is the force needed is, to a body of mass 1kg the acceleration 1m / s2 to grant. The statement about the proportionality between the force and the product of mass and acceleration is known as second Newtonian axiom . (The power was originally defined however as a pulse change per time in the form of ). The change of the motion (= acceleration) is proportional to the applied force and has the same direction as the force. Note: The proportionality factor is the mass – at constant acceleration, force and mass are proportional to each other. The equation is known as the equation of mechanics , because it is the basis for many laws of motion in mechanics. You should therefore never forget them again! The unit of 1Newton can be expressed in this way also with base units . The second axiom of Newton’s results in the fact that an acceleration has always a force as a cause , and that the acceleration has the same direction as the force. Both force and acceleration are vector quantities. The force required is greater or the acceleration, if the friction is not neglected can become smaller. What force must with 9 Act on a body, thus, 81m / s2 will be accelerated? The so-called acceleration is the acceleration, so the acceleration is accelerated with every free-falling body (on the Earth). We get the weight of the body – because this is Yes the force that accelerates every body in free fall. You know this formula already from middle school – there was however referred to the acceleration as a location factor . On a body double mass works so the double weight. The acceleration remains constant. In this context, the realization that all bodies fall equal quickly arises immediately! The acceleration that all free falling body will learn is called gravitational acceleration g.
The acceleration is location-dependent and is on the ground (or earth) . This acceleration is therefore also called acceleration due to gravity . Thus, the weight of the body is location-dependent, while the mass is orstunabhängig. The weight force and thus the gravitational acceleration g, discovers a body depends on the mass of the celestial body. Because the moon has a smaller mass than the Earth, the gravity and thus the gravity on the Moon is much smaller than on Earth. It is approximately . Newton established a law in 1687, with the is the gravitational force between two bodies of the masses and , which is at a distance are apart, can be calculated. This is of the distance of the Massenmittelpunkte and the gravitational constant. The gravitational constant has the value . It follows from the law of universal gravitation: one doubles the distance of the two masses, thus reducing the force of attraction between the dimensions by a factor of 4. Puts you in the law of universal gravitation for the mass of the Earth and for the radius of the Earth’s RADIUS (distance to the Centre of the Earth) , so arises for a mass a gravitational force of , so the the weight of the mass solar. At an altitude of 6378km (above the Earth’s surface), a body undergoes only 1/4 of its force on the ground because the distance from the Earth’s Center is twice the size. On Earth, the acceleration due to fluctuating gravity is not everywhere equal. Among other things due to the flattening of the Poland, the gravitational acceleration at the Poland is greater than at the equator. The weight of affects every body on the Earth at any time. That the weight except in free fall but does not cause that all bodies are equally accelerated is because that one or more additional forces. Stands or a body on the floor or on a table, so there is another force, which is as great as the force of weight but is this face in opposite directions respectively. This force is applied from the bottom of the table etc. and causes that the sum of the body acting on the body is 0, so there is no change of the motion State. This force can be described as the reaction force – the floor or table responds to the weight of the body with an equal opposite-oriented force. E.g. a table could not afford the corresponding reaction force, so this would collapse. It is not possible that a body exerts a force on a second body, without that it exerts a force not alike on the first body. This connection is also known as third Newtonian axiom, principle of interaction or as a law of action and reaction . Forces are always in pairs. The body A exerts a force on body B (actio), so body exerts an equal but opposite-oriented force on body A (reaction) B. The interaction principle applies to all types of forces. We put on the Earth with the same force with which we are attracted by the Earth. It’s an mutual attraction. That we fall toward Earth and not vice-versa, is only to the much larger mass of the Earth and its inertia associated. The same applies to magnetic attraction or repulsion forces. Just like a magnet attract a piece of iron, the piece attracts iron – and with the same force the magnet! Should a body quickly accelerated (E.g. when driving in a car), correspondingly large forces will be generated. When driving a car, the tires exert a force on the road. The corresponding reaction force of the road on the tire speeds up the car. This power can however not be greater than the friction force between the tire and road. The same also applies to the brake. Because the friction force normally cannot be greater than the normal force (this corresponds to not inclined roadway of the weight), the acceleration during the starting and braking can not be greater than the gravitational acceleration g.
With the acceleration of a = g is ideally an acceleration from 0 to 100km / h in 2, 83 s and a minimum stopping distance from 100km / h by 39, 33 m.
It is because that these values sometimes even be surpassed in the Realfall, that in addition to the frictional force more effects can play a role, which can increase the reaction force. In accidents, vehicles are slowed down within a very short time from high speed to standstill. This is possible only by very large forces that impact both the vehicle and the occupants. The greater the speed change per time (so the larger the brake acceleration), all the more forces. The brake acceleration and therefore the force on the driver depends on the speed and the braking distance. Where: the smaller the braking distance and the higher the speed, the higher the forces. Driving a car against a fixed object, the braking distance is just as big as the car can be deformed. This area is called also “crumple zone”. In an accident, it is not desirable, therefore, that the car is damaged as little as possible, because the forces would be even greater. Rather, it is attempting to deform a widest range, causing the accidents will be reduced to the occupant. Adopted a car drives with 40 km / h frontal against an obstacle. The crumple zone amounts to 80cm. The brake acceleration is so – 77, 16 m / s2. This corresponds to the 7,9-fachen of the acceleration due to gravity, so about 8 g.
As applies to the power , is also the force acting on the inmates, the about the 8 their weight. This can cause may already serious injuries – especially when you’re not wearing! It is important to the realization that the force in an accident on the inmates applied acceleration and hence the square increases with the speed. At double speed (i.e. 80km / h) acceleration and force as big 4 times so be and corresponded to about 31 g!